This summer our sweet baby daughter turned 2! She’s now officially a toddler girl constantly exploring, reorganizing every closet in the house and rearranging every drawer she can get into. She loves playing with our dog Coco, playing in the pool and exploring the backyard. This past summer we even planted a butterfly garden so there would be even more to discover in the yard. Even though my daughter is adventurous with everything else in her life, when it comes to food, she’s not adventurous at all. She doesn’t like trying new things. She has issues with food textures. She likes to stick to what’s familiar and safe. It’s really annoying, but this isn’t my first rodeo. My son was exactly the same way. He was super sensitive to new tastes, smells and textures, making him an incredibly picky eater. But with time, I was able to help him explore and learn to love lots of different types of foods. He’s actually become kind of the “human garbage disposal” at school. All of his friends give the fruits and veggies they don’t like to Julien. (Sorry moms, my kid is taking your kids healthy treats). They all know Julien loves any fruit or veggie that they don’t like. Gerber® Pure® Water – The most important part of maintaining a healthier lifestyle is encouraging healthy habits, like choosing water. Living in Florida, I try to keep more than enough water for the whole family. For the little one, I always keep a bottle of Gerber® Pure® Water in my pantry. It’s perfect for mixing with Gerber cereal for my daughter’s breakfast. Set The Example – This is my most important tip. If you want your babies and kids to eat healthy, you have to eat healthy, and so does your significant other. Seeing Mom and Dad eat a variety of delicious and nutritious foods sets a great example for little ones because we all know kids imitate what they see us do. Don’t Serve Kid Meals – Kids should eat what the parents are eating. Don’t buy or serve alternative kid food like chicken nuggets, grilled cheese and hot dogs. Those foods are okay on occasion, but if the parents are eating healthy every meal, and the kid gets to eat yummy processed foods, they’ll never eat anything else. 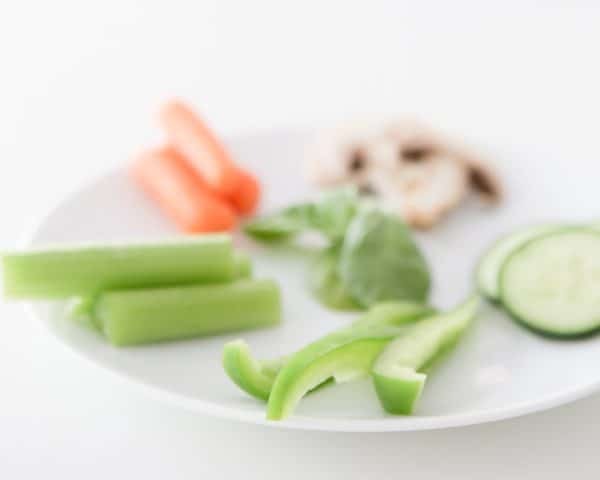 Serve Lots of Veggies – Especially at dinner, make sure you offer your little one at least two or three vegetables. I like to offer some sort of potato, a steamed vegetable and a little salad they can pick up with their hands. Start Softer – If your toddler doesn’t like chicken for example, try to find a way to make your chicken more tender like cooking it in the slow cooker. If that doesn’t work, stick to mild white fish and keep reintroducing tender chicken until they get accustomed to it. Eventually your child should gradually become used to tougher types of meat. Make Dessert Fresh Fruit and Berries – Skip the baked goods (unless it’s a special occasion) and serve fresh fruits and berries. I like to add a bit of whipped cream with berries for an after dinner treat. Keep It Colorful – We first eat with our eyes, so make sure that your toddler’s plate is colorful and pretty. Serving a rainbow of foods isn’t just healthy it will encourage them to try more things too! 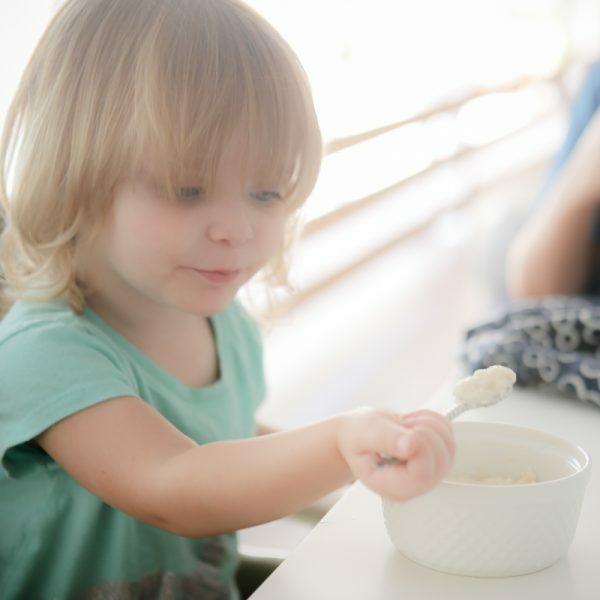 Keep it Sweet – Toddlers are drawn to sweet things. If your toddler doesn’t like broccoli for example, incorporate it into a pasta or stir fry dish with sweet veggies like peas and carrots your toddler does like. Eat Around the Dinner Table – The best way for little toddlers to see what other family members are eating is for everyone to eat at the same time around the dinner table. Be sure to also make the dinner table a tech free area. That means no phones, devices or televisions allowed. 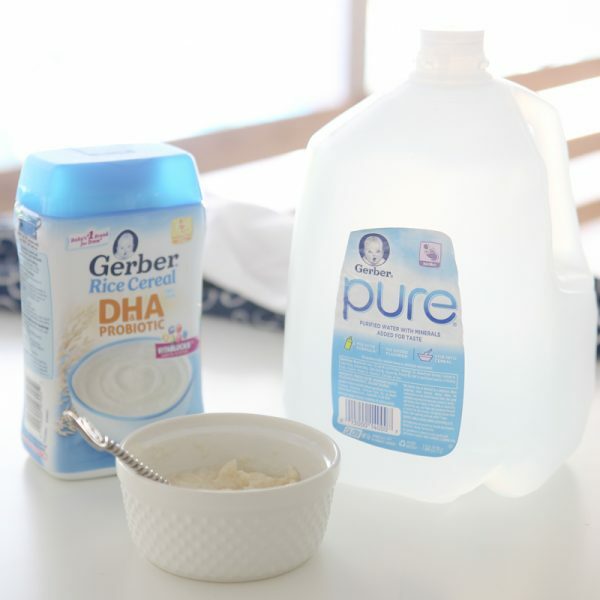 Gerber® Pure® Water is Specially Purified for Babies and is a good choice for mixing with infant formula or cereal and you can find it at your local Walmart! 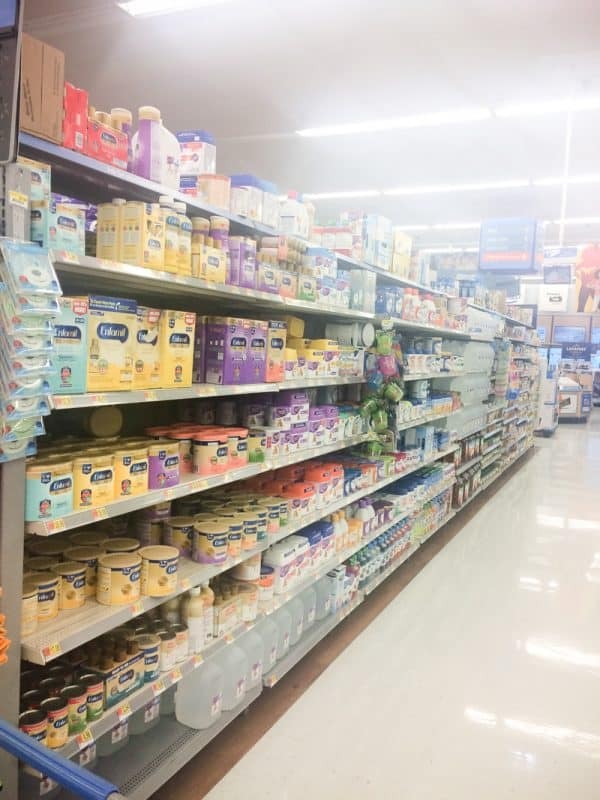 It’s located on the baby aisle. 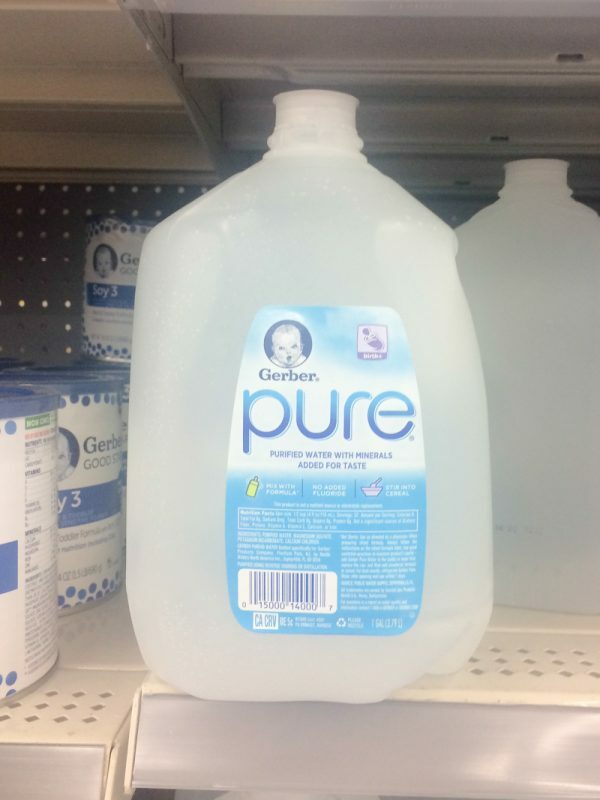 Learn more about Gerber and Gerber® Pure® Water by visiting the Walmart product page.